GetDivorcePapers.com provides professionally completed, 100% court-approval, money-back guaranteed Alaska divorce forms. Just create an account, complete the interview, and file for divorce. Our case managers do all the work for you, and send the completed Alaska divorce forms when they are ready to be filed. Information provided below is given to make the people well aware of essential points for filing a divorce case in Alaska. 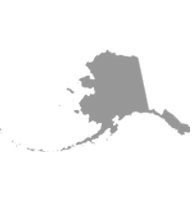 A divorce filer must be a resident of Alaska. However, specific time duration for his or her residency does not matter. Mental disorder that is not curable within 18 months. Unable to consummate the marriage. Fundamental needs of the child and consent of the either of the parents to cater those needs. Affection for the child from either of the parents. Preference of the child subjected to his or her age and mental capability. Any evidence of domestic violence or any negative incident. Fitness of both the parents. Environment of the home of each parent. Flexibility from the parents to have an open relationship for child. Estimated expenses required by the child and financial standings of each of the parents. State of Alaska has also developed the guidelines for the child support. Under this clause, either of parents or both may require to pay for the child support depending upon the circumstances. However, if the income of the parents falls below the Federal poverty level and the number of family members is high, then they may deviate from these guidelines. Parents that earn higher income are subjected to different guidelines for the child support. Rules have also been set for the property distribution of the spouses during the divorce case. Both the parties get the equal rights in this regard and the whole property, inheritances, and gifts are divided in equal halves. However, property before the marriage in case of no-fault divorce remains with the owner. In this regard, financial standings of the spouses, circumstances in which the properties were acquired, income of both the spouses and the needs of the children are given consideration. Any of the spouses can request for a mediator in the case for the settlement. If no request is made from either of the party then judge may ask the parties to name the mediators if required. There is no need of a lawyer when applying for divorce in the state of Alaska. A divorce case which is filed without any help of an attorney in any of the states is known as Pro Se Divorce. Literally, Pro Se is a Latin phrase and it means "on her or his own". Process of getting the divorce without the help of lawyer may vary from one State to another. These types of divorces are perfectly legal and enforceable in Alaska, and are actually very convenient. Usually, once settlements have been made regarding property distribution and custody matters among the spouses in case of a mutual divorce, Pro Se Divorces are filed.